There are four major sources of surface water. These are rivers, lakes, ponds, and tanks. In the country, there are about 10,360 rivers and their tributaries longer than 1.6 km each. The mean annual flow in all the river basins in India is estimated to be 1,869 cubic km. The total replenishable groundwater resources in the country are about 432 cubic km. Ganga and the Brahamaputra basins, have about 46 per cent of the total replenishable groundwater resources. The level of groundwater utilisation is relatively high in the river basins lying in north-western region and parts of south India. The groundwater utilisation is very high in the states of Punjab, Haryana, Rajasthan, and Tamil Nadu. However, there are States like Chhattisgarh, Orissa, Kerala, etc., which utilise only a small proportion of their groundwater potentials. If the present trend continues, due to topographical, hydrological and other constraints, only about 690 cubic km (32 per cent) of the available surface water can be utilised. Water flow in a river depends on size of its catchment area or river basin and rainfall within its catchment area. India has traditionally been an agrarian economy, and about two-third of its population have been dependent on agriculture. Hence, development of irrigation to increase agricultural production has been assigned a very high priority in the Five Year Plans, and multipurpose river valleys projects like the Bhakra-Nangal, Hirakud, Damodar Valley, Nagarjuna Sagar, Indira Gandhi Canal Project, etc. have been taken up. In fact, India’s water demand at present is dominated by irrigational needs. Agriculture accounts for most of the surface and ground water utilisation, it accounts for 89 per cent of the surface water and 92 per cent of the groundwater utilisation. While the share of industrial sector is limited to 2 per cent of the surface water utilisation and 5 per cent of the ground-water, the share of domestic sector is higher (9 per cent) in surface water utilisation as compared to groundwater. In agriculture, water is mainly used for irrigation. Irrigation is needed because of spatio-temporal variability in rainfall in the country. The large tracts of the country are deficient in rainfall and are drought prone. North-western India and Deccan plateau constitute such areas. Winter and summer seasons are more or less dry in most part of the country. Hence, it is difficult to practise agriculture without assured irrigation during dry seasons. Even in the areas of ample rainfall like West Bengal and Bihar, breaks in monsoon or its failure creates dry spells detrimental for agriculture. Water need of certain crops also makes irrigation necessary. For instance, water requirement of rice, sugarcane, jute, etc. is very high which can be met only through irrigation. Provision of irrigation makes multiple cropping possible. It has also been found that irrigated lands have higher agricultural productivity than unirrigated land. Further, the high yielding varieties of crops need regular moisture supply, which is made possible only by a developed irrigation systems. In fact, this is why that green revolution strategy of agriculture development in the country has largely been successful in Punjab, Haryana and western Uttar Pradesh. In Punjab, Haryana and Western Uttar Pradesh more than 85 per cent of their net sown area is under irrigation. Wheat and rice are grown mainly with the help of irrigation in these states. Of the total net irrigated area 76.1 per cent in Punjab and 51.3 per cent in Haryana are irrigated through wells and tube wells. This shows that these states utilise large proportion of their ground water potential which has resulted in ground water depletion in these states. In fact, over withdrawals in some states like Rajasthan, and Maharashtra has increased fluoride concentration in ground-water, and this practice has led to increase in concentration of arsenic in parts of West Bengal and Bihar. Intensive irrigation in Punjab, Haryana and western Uttar Pradesh is increasing salinity in the soil and depletion of ground water irrigation. The per capita availability of water is dwindling day by day due to increase in population. The available water resources are also getting polluted with industrial, agricultural and domestic effluents, and this, in turn, is further limiting the availability of usable water resources. 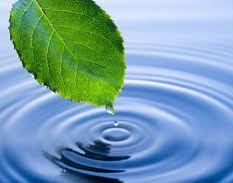 Water quality refers to purity of water, or water without unwanted foreign substances. Water gets polluted by foreign matters such as microorganisms, chemicals, industrial and other wastes. Such matters deteriorate the quality of water and render it unfit for human use. When toxic substances enter lakes, steams, rivers, ocean and other water bodies, they get dissolved or lie suspended in water. This results in pollution of water whereby quality of water deteriorates affecting aquatic systems. Sometimes, these pollutants also seep down and pollute groundwater. The Ganga and the Yamuna are the two highly polluted rivers in the country. Since there is a declining availability of fresh water and increasing demand, the need has arisen to conserve and effectively manage this precious life giving resource for sustainable development. Given that water availability from sea/ocean, due to high cost of desalinisation, is considered negligible, India has to take quick steps and make effective policies and laws, and adopt effective measures for its conservation. Besides developing water saving technologies and methods, attempts are also to be made to prevent the pollution. There is need to encourage watershed development, rainwater harvesting, water recycling and reuse, and conjunctive use of water for sustaining water supply in long run. Available water resources are degrading rapidly. The major rivers of the country generally retain better water quality in less densely populated upper stretches in hilly areas. In plains, river water is used intensively for irrigation, drinking, domestic and industrial purposes. The drains carrying agricultural (fertilisers and insecticides), domestic (solid and liquid wastes), and industrial effluents join the rivers. The concentration of pollutants in rivers, especially remains very high during the summer season when flow of water is low. The Central Pollution Control Board (CPCB) in collaboration with State Pollution Control Boards has been monitoring water quality of national aquatic resources at 507 stations. The data obtained from these stations show that organic and bacterial contamination continues to be the main source of pollution in rivers. The Yamuna river is the most polluted river in the country between Delhi and Etawah. Other severely polluted rivers are: the Sabarmati at Ahmedabad, the Gomti at Lucknow, the Kali, the Adyar, the Cooum (entire stretches), the Vaigai at Madurai and the Musi of Hyderabad and the Ganga at Kanpur and Varanasi. Groundwater pollution has occurred due to high concentrations of heavy/toxic metals, fluoride and nitrates at different parts of the country. The legislative provisions such as the Water (Prevention and Control of Pollution) Act 1974, and Environment Protection Act 1986 have not been implemented effectively. The result is that in 1997, 251 polluting industries were located along the rivers and lakes. The Water Cess Act, 1977, meant to reduce pollution has also made marginal impacts. There is a strong need to generate public awareness about importance of water and impacts of water pollution. The public awareness and action can be very effective in reducing the pollutants from agricultural activities, domestic and industrial discharges. Watershed management basically refers to efficient management and conservation of surface and groundwater resources. It involves prevention of runoff and storage and recharge of groundwater through various methods like percolation tanks, recharge wells, etc. However, in broad sense watershed management includes conservation, regeneration and judicious use of all resources – natural (like land, water, plants and animals) and human with in a watershed. Watershed management aims at bringing about balance between natural resources on the one hand and society on the other. The success of watershed development largely depends upon community participation. The Central and State Governments have initiated many watershed development and management programmes in the country. Some of these are being implemented by nongovernmental organisations also. Haryali is a watershed development project sponsored by the Central Government which aims at enabling the rural population to conserve water for drinking, irrigation, fisheries and afforestation. The Project is being executed by Gram Panchayats with people’s participation. Neeru-Meeru (Water and You) programme (in Andhra Pradesh) and Arvary Pani Sansad (in Alwar, Rajasthan) have taken up constructions of various water-harvesting structures such as percolation tanks, dug out ponds, check dams, etc. through people’s participation. Tamil Nadu has made water harvesting structures in the houses compulsory. No building can be constructed without making structures for water harvesting. Watershed development projects in some areas have been successful in rejuvenating environment and economy. However, there are only a few success stories. In majority of cases, the programme is still in its nascent stage. There is a need to generate awareness regarding benefits of watershed development and management among people in the country, and through this integrated water resource management approach water availability can be ensured on sustainable basis. Rain water harvesting is a method to capture and store rainwater for various uses. It is also used to recharge groundwater aquifers. It is a low cost and eco-friendly technique for preserving every drop of water by guiding the rain water to bore well, pits and wells. Rainwater harvesting increases water availability, checks the declining ground water table, improves the quality of groundwater through dilution of contaminants like fluoride and nitrates, prevents soil erosion, and flooding and arrests salt water intrusion in coastal areas if used to recharge aquifers. Rainwater harvesting has been practised through various methods by different communities in the country for a long time. • Irrigation and multi-purpose projects should invariably include drinking water component, wherever there is no alternative source of drinking water. • Providing drinking water to all human beings and animals should be the first priority. • Measures should be taken to limit and regulate the exploitation of groundwater. •Both surface and groundwater should be regularly monitored for quality. A phased programme should be undertaken for improving water quality. • The efficiency of utilisation in all the diverse uses of water should be improved. • Awareness of water as a scarce resource should be fostered. • Conservation consciousness should be promoted through education, regulation, incentives and disincentives.